Heff - a very experienced band who only the most experienced audience can handle... who'll get the Heff jandal tonight? There will be some human sacrifice - and it will all be left to burn on the dance floor. With Darren Whittaker on the axe, Vinnie McParland on the drums, Nicole Chesterman Kircher on vox and Brian Shanks on the bass, be sure to bring a spare pair of undees! 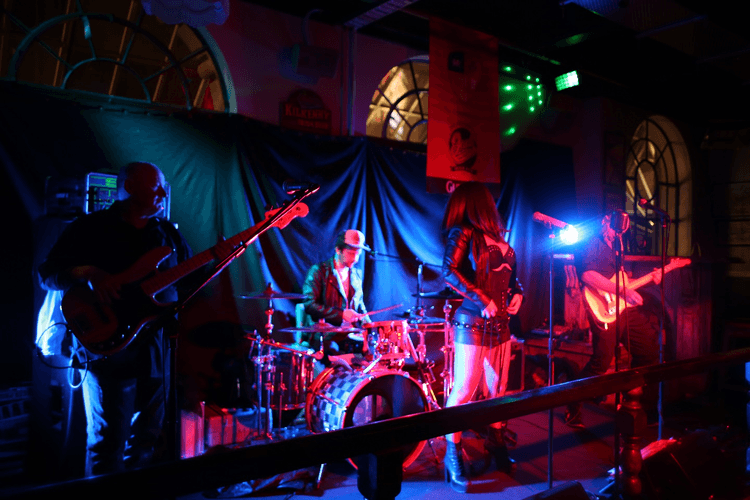 This band is available for hire by contacting Nicole on possumtalent@slingshot.co.nz or Cell: 027 232 2602.